Shonen Jump just revealed a trio of new additions to the upcoming game My Hero Academia: One’s Justice for the Playstation 4, Xbox One, Nintendo Switch and PC. 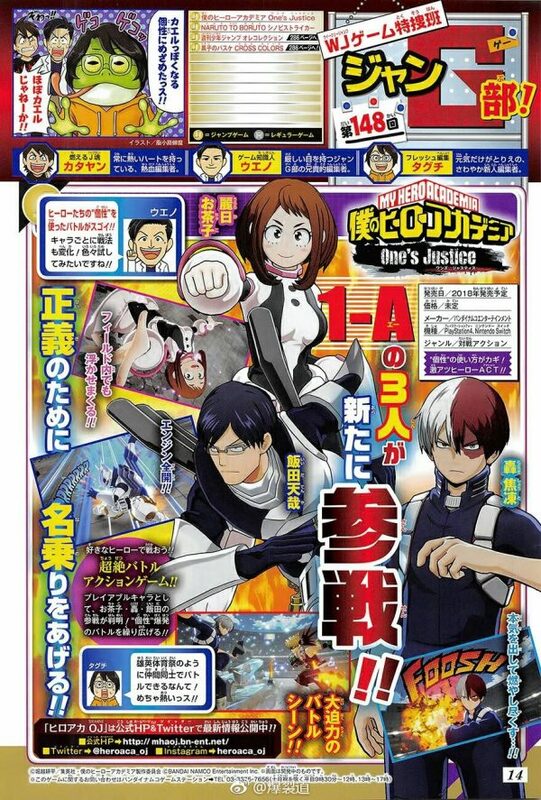 These are the gravity manipulating Ochacho Uraraka, the speedy armored hero Tenya Iida and the dual elemental Shoto Todoroki. Check out the page of the announcement from the recent issue of Shonen’s Weekly Jump. 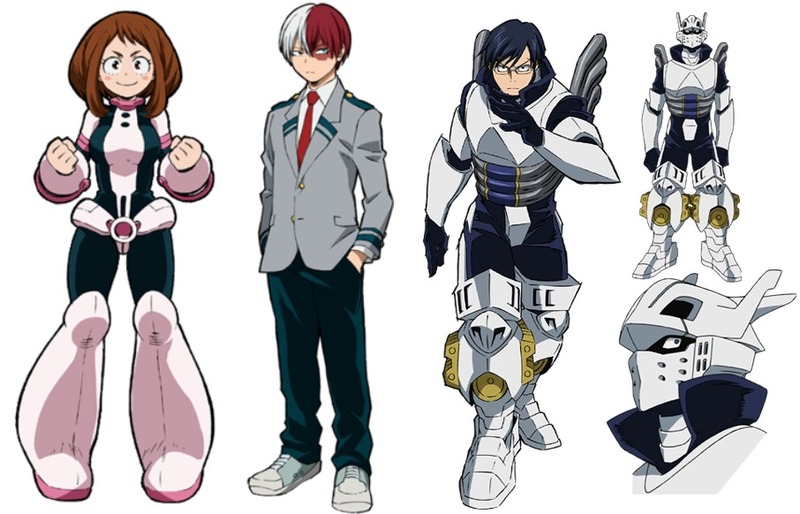 Also other characters that’s been announced for My Hero Academia: One’s Justice are Izuku Midoriya, Tomura Shigaraki, Katsuki Bakugo, and All Might.